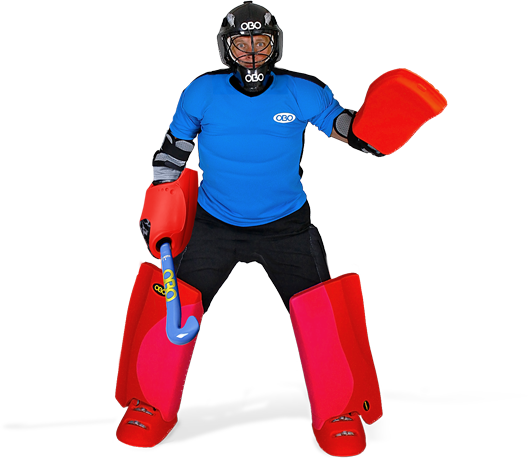 – as the glove contacts the ground the glove is able to rotate to the most suitable position for play on the ground. 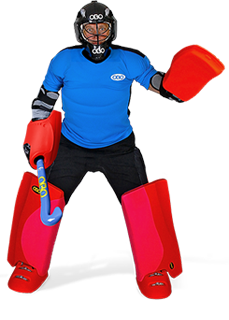 – the longer you stretch your arm the more the glove rotates right into the final position as seen in the picture. 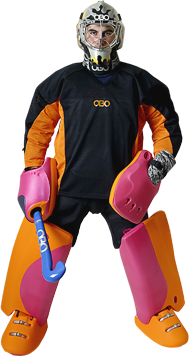 – inside the glove your hand rotates left into the opposite direction to keep the stick in the right position. 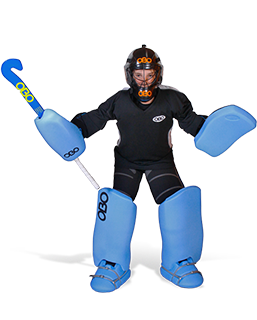 – if you stand up again the glove and stick rotate back into the normal position. 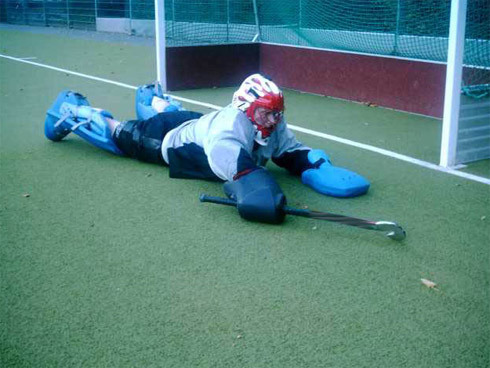 – for the sliding backhand tackle you use the the sliding part of you glove. – the glove stays in the normal position. 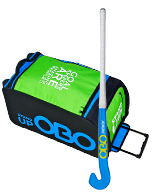 – rotate the stick to the left to get into the backhand postion.  – press the top of the stick on the ground so that you do not lose contact. 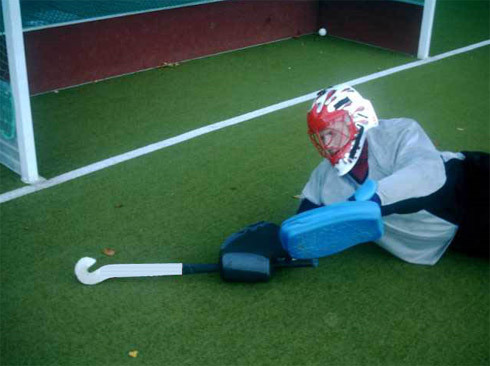 – this kind of tackle allows you to play the ball with your stick or glove.